GGA is an innovative provider of construction and development services, recognized for outstanding performance, unparalleled integrity, and a team of talented professionals who are passionate about building. They are located in Delaware. Working with the design team at Squatch Creative, we implemented a custom WordPress site customized to their needs. 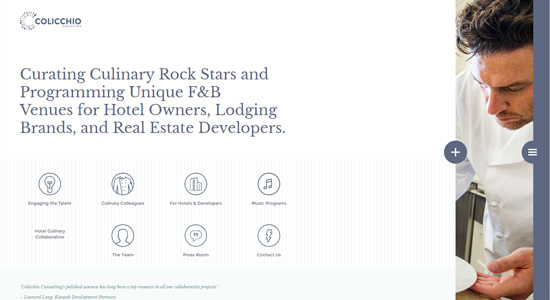 AJAX was used all of the page transitions creating a seamless user-experience. 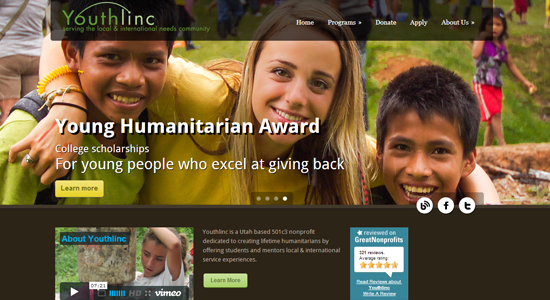 Youthlinc is a non-profit organization based in Utah that focuses on local and international expeditions for bettering today’s youth through education and service. 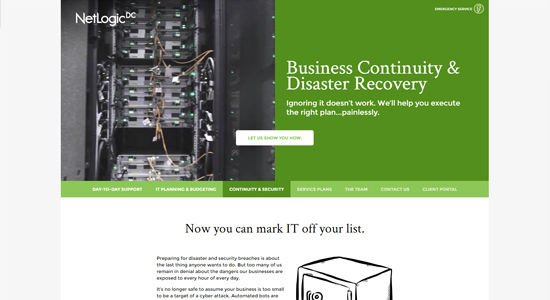 The organization needed a website that their staff could maintain and update without any knowledge of code. WordPress was chosen as a content-management system, and I customized the back end to cater specifically to the needs of their staff. It now hosts a full library of PDFs, blog posts, and testimonials that are all manageable through WordPress, along with all of the interior pages. NetLogicDC is a private IT support & security firm that services the Washington D.C. area. 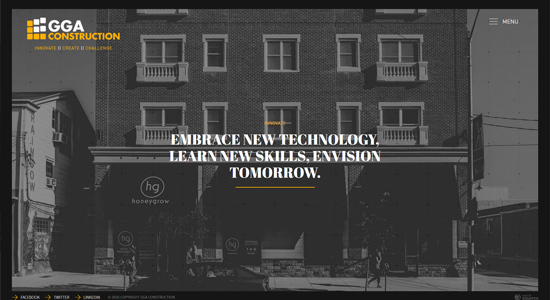 Their fully custom website included HTML5 video shot by Evan Lober of Squatch Creative. It also included very detailed interior pages involving heavy user-engagement and a fully responsive design provided by Paul Peddrick. Omni Hotels offers luxury hotels and resorts throughout North America. 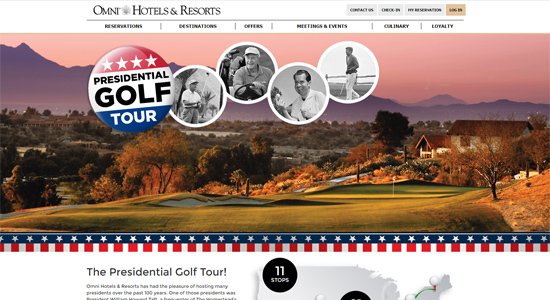 Their 2016 Presidential Golf package required a fully custom WordPress CMS for updates, as well as extensive custom front-end development for user interaction. 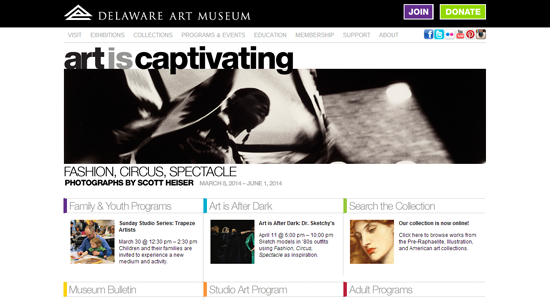 The Delaware Art Museum is a historic museum founded in 1912 boasting more than 12,000 items in their collection. Their content management system, CMSMadeSimple, was becoming a burden to maintain. Updating collection information, store items, and media was cumbersome, but essential to the website’s existence. I was able to migrate the entire site to WordPress, including some 293 pages, 28,000 internal links and files, and overhaul their entire eCommerce platform to make routine maintenance much more efficient and easy. The entire site was converted to be mobile friendly and responsive, as well. I, and the team at Squatch Creativewere able to customize their entire CMS platform while maintaining absolute SEO and content placement throughout. Custom tutorials were also developed for the staff illustrating the different tools available. Colicchio Consulting is a pioneer in the structuring of specialty consulting, partnerships, and joint venture agreements between property owners and renowned chefs. Working with designer Paul Peddrick, I developed a custom WordPress theme based off of his creative direction. 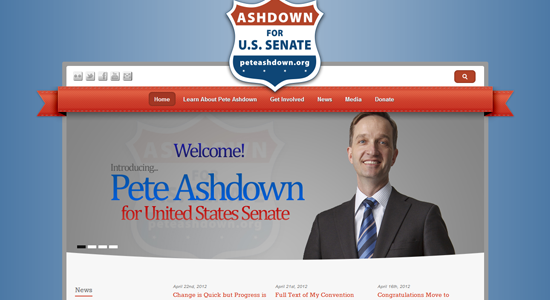 Pete Ashdown was running for the 2012 Democratic Senatorial Candidate for the state of Utah. He also is the founder and CEO of Utah’s first independent internet service provider,Xmission. Pete was in need of a website that promoted his political candidacy and incorporated all of the major social media networks during the campaign trail. Blogging, Facebook pages, AdWords campaigns, Youtube videos, Flickr photos, and Twitter streams are all essential marketing tools that tie directly into the website. His Flickr and Twitter streams are updated directly to pages on the site. Youtube videos are embedded into blog posts and pages. The entire site is built in WordPress, which helps SEO priority and the ease of content maintenance. It was probably one of the most enjoyable websites I’ve had the privilege to build.